Post Cards From the Past: How modern is modern art, really? How modern is modern art, really? What exactly is so modern about modern art? This sounds like a silly question. Everyone assumes that the idea of spontaneous expression, free from the fetters of religious dogma and political agendas were phenomena that developed at the end of nineteenth and beginning of the twentieth century. I have a deep appreciation of the things that artists like Picasso and Matisse accomplished, but in many respects their creations resembled works found in much earlier ages. I believe examples of what we could call modern art existed in the ancient world. We rarely see them because the art that survives is predominately created in media that is able to withstand the ravages of time. The art painted on the walls of Egyptian tombs or chiseled into Greek stone reliefs and Roman columns are examples of art that endured, but this is art created for strict religious and political purposes. 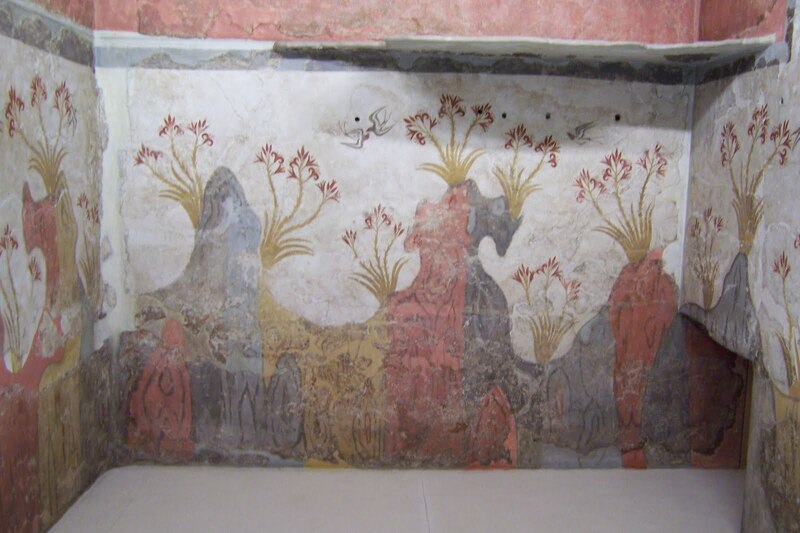 In the 1960’s the Bronze Age city of Akrotiri was uncovered on the island of Thira(Santorini), just south of Crete. 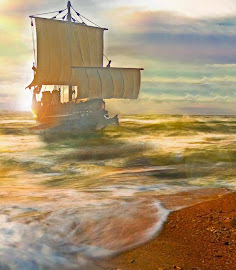 Speculation ran rampant that this might have been the fabled Atlantis. When a volcano erupted on the island in about 1490BC, Akrotiri was buried under 30 feet of volcanic ash that nearly perfectly preserved the city. 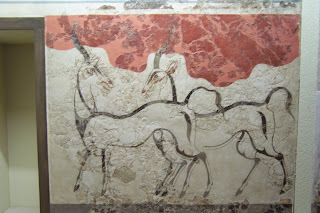 Ironically, Akrotiri with its multi-story buildings, indoor plumbing and paved streets may have only been a secondary city to the main city that was totally lost when the explosion sunk a good part of the island and spread havoc across the Mediterranean. This is one of the few places in the ancient world where the decor on the interior walls of dwellings has survived. The designs are freely stylized and as colorful as any Fauvist color scheme. Some of the spontaneity, projected by the works may be the result of the medium they used for painting. 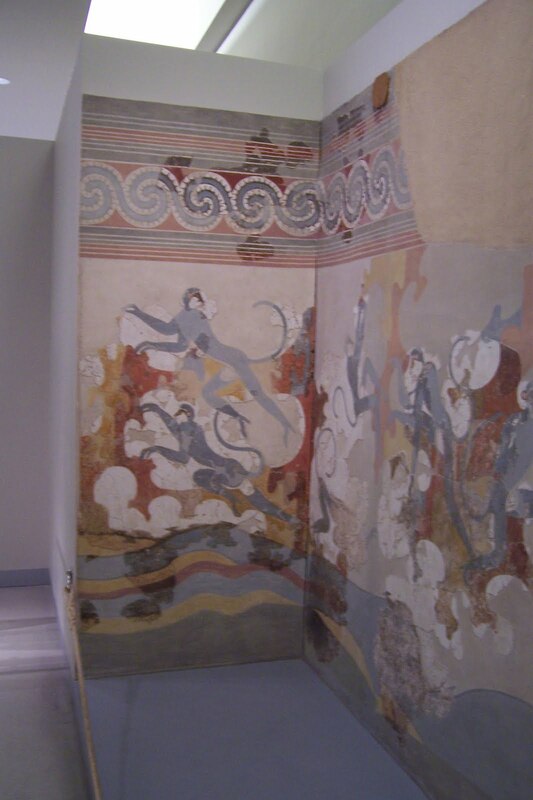 Water based fresco would have required a confident hand and quick application, but the freedom of the designs and use of color suggests that the artist was free to create an original work without many cultural preconditions influencing his choices. The results are works that could be hung in a gallery next to Matisse and Picasso and not look out of place.